CAKEWALK BAKE SHOP: Cakewalk for Michaels: video inspiration! Cakewalk for Michaels: video inspiration! This fall, we collaborated with Dallas-based designers and art directors Bows and Arrows on several themed wedding shoots for the craft store brand Michaels. Adorable videos from the three shoots are now viewable on the Michaels site. Check them out! 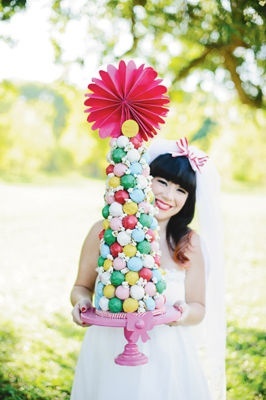 Our donut cake from the Whimsy Carnival shoot, adorned with a fun paper pom topper!